I can't remember eating figs when I was little. 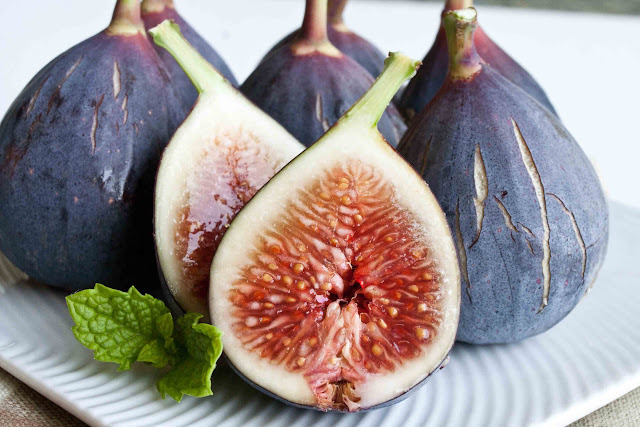 The only figs I remember from my childhood are Fig Newtons, and they're nothing like tree ripened figs. My neighbor Sam has a fig tree--it's right outside my front gate, and he invites us to pick them. So it's only since I've become an adult and moved to this house that I discovered I love figs. 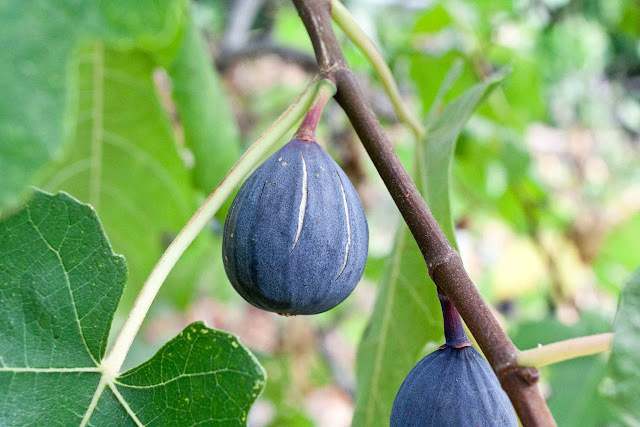 There are a lot of recipes and dishes you can make with figs. But I haven't done any cooking with figs, I like to eat them just as they come off the tree. This is how figs grow on the tree. I like them the best when they've got just a little split in the skin. I've found that if I pick them then, they're the sweetest. But they don't last long and become over-ripe within the day. This is Sam's fig tree. I feel so fortunate that Sam invites us to pick the fruit growing in his yard! This morning I picked a few figs. This is the first one I ate. After they're washed, I peel the skin off starting at the stem. I don't pick figs very often, if the leaves touch the skin on my arms, it makes me itchy. My husband picks them for me. Or sometimes Sam picks them and leaves them on the wall for me. When my husband comes in and calls out, "I picked you some figs!" I race to the kitchen. Gary has a different way of picking them than I do. He likes to pick them just before they get their stretch-marks. He says they last longer. So while he was at work today, I picked some for myself. I peel all around the fig. 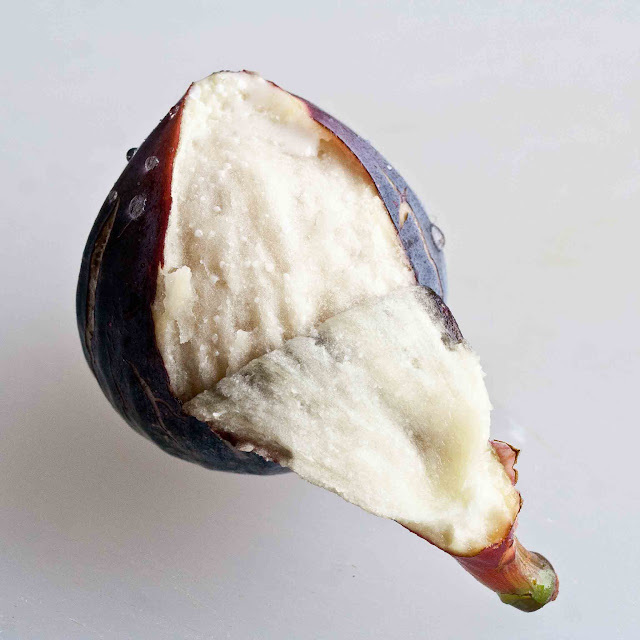 The bottom of the fig has a little hole in it, it's easy for ants and bugs to enter the fig. So that's why, after I'm done peeling it, I break the fig in half and check to make sure nothing is moving on the inside. If they're just a little bit over-ripe, there's a good chance there's a bug or two inside. Since Sam's fig tree is so close to our yard, every year we have volunteer fig trees sprouting up all around the yard. The birds like figs too. 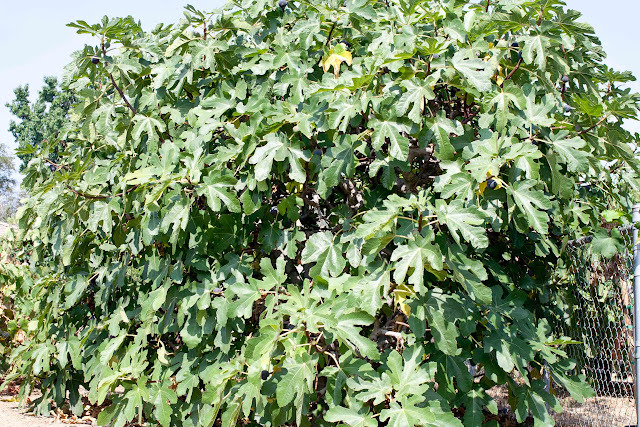 We used to have a fig tree but it made such a mess, my husband chopped it down--I couldn't blame him. Since Sam invites us to share his tree, and he doesn't consider fallen fruit a mess, we have a great deal. This is my neighbor Sam. He's always busy taking care of things. Sam has led an interesting life. I like to listen to him--he knows just the right amount to talk--long enough to tell an interesting story, but not too long that you feel like you can't get away. He's always pleasant, too--it's always nice to listen to someone that's pleasant. 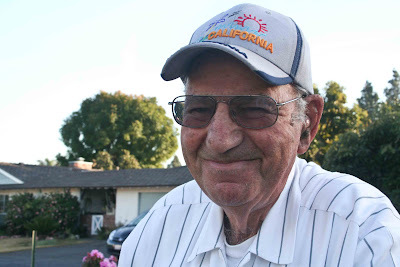 He likes to speak to me in Japanese, because he learned a little while he worked in the produce market downtown--and surprisingly I can understand what he says with the little Japanese I know. I love the story that his wife Martha tells of the two of them dating, and how she told him not to pick her up for their date in his trash truck. Sam was working in refuse back then. Sam and his extended family have been great neighbors. Sam loves to grow fruit. 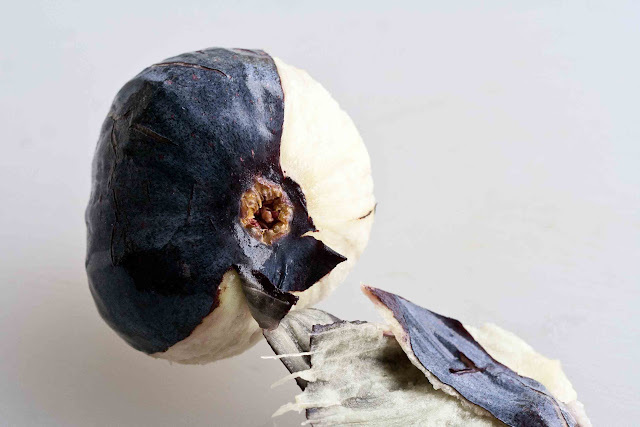 He talks about how the best varieties of fruit have disappeared from the markets because they didn't have a long shelf-life and have been replaced with bland tasting fruit. Sam hunts down the best varieties of fruit and plants them in his yard. We appreciate how Sam looks after our little neighborhood here on our shared driveway. Thank you, Sam, for your generosity and for sharing the fruit of your labors with us! 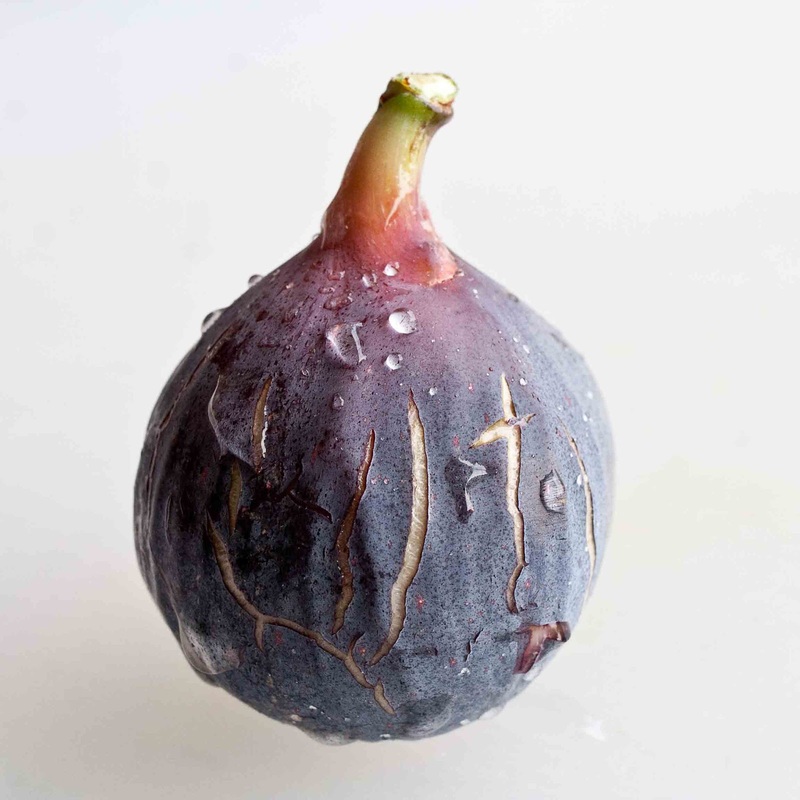 Please tell me you'll be making fig recipes for the next week! 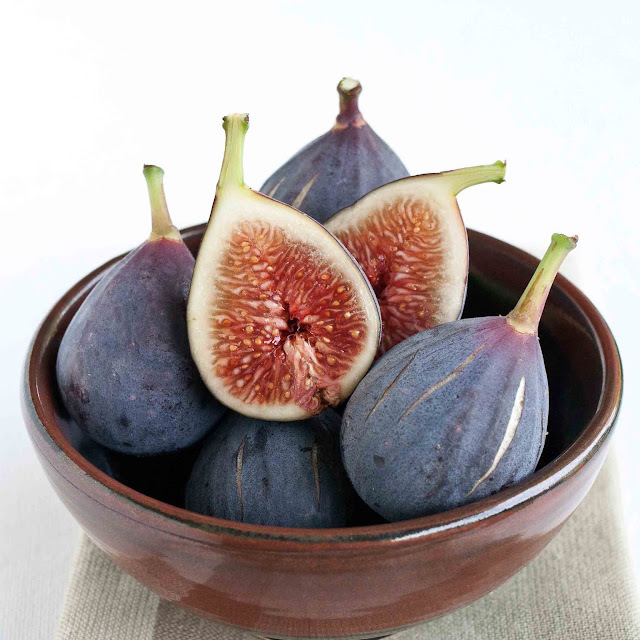 Fantastic photos -- wish I had a basket of figs right here! Wow! 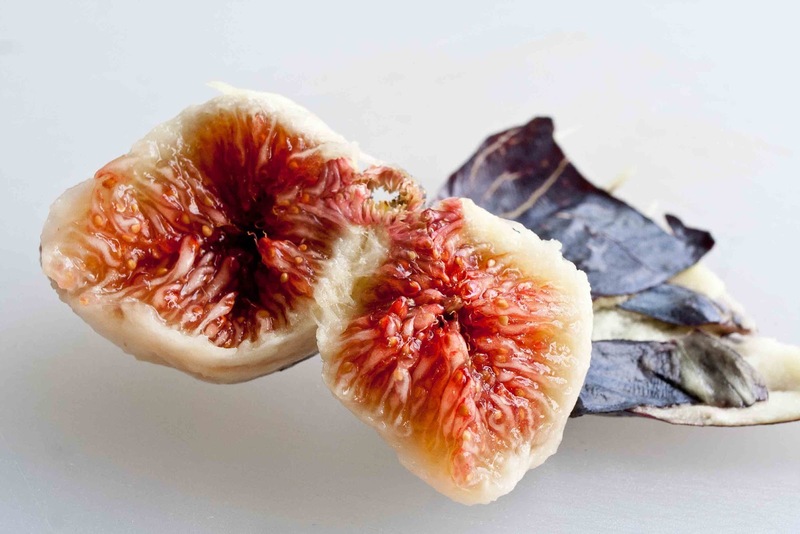 Gorgeous photos of figs! I've actually never had a fresh fig before. So sad. Sam looks adorable! He looks like the kind of neighbor everyone dreams of. Mine give me mountain apples so they're pretty awesome too! How I wish figs would grow in my yard. Unfortunately, Michigan is -all wrong- for figs. I envy you your neighbor and his fig tree.